Choice Housing have officially launched a £8.4 million construction project that will deliver 53 much-needed new homes to Upper Dunmurry Lane, Belfast. The ambitious development will mark a new chapter for the local community, enhancing the area. The scheme, was designed by McGirr Architects and is due for completion early 2021. Dungannon contractor; Connolly & Fee will be working with Choice to provide the homes for new tenants, bringing together the best standards and latest energy saving technologies. The development will accommodate 193 people in a mix of two and three bedroom homes, two bedroom apartments and will also include two wheelchair accessible bungalows. Michael McDonnell, Chief Executive of Choice said: “This important project will create 53 high quality homes for tenants and it is another clear commitment from Choice to deliver social housing in areas of need. 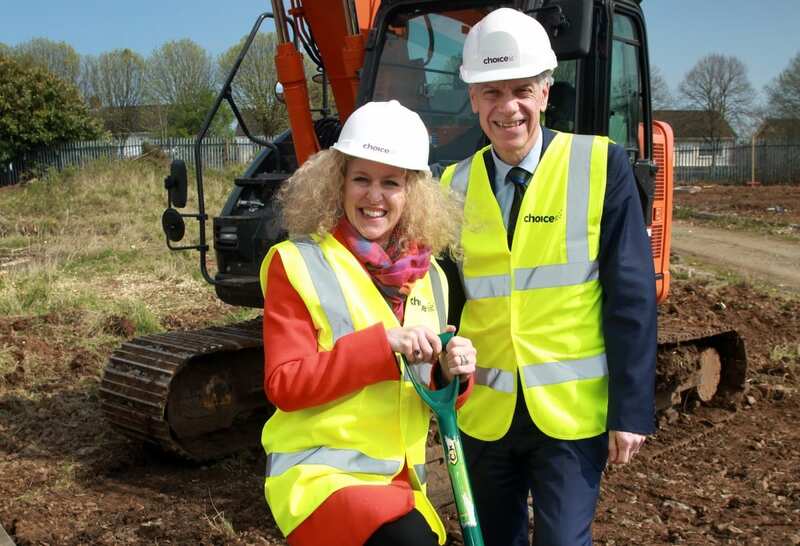 Our project at Belvedere is good news, particularly for those who are on the social housing waiting list, and will help bring a new vibrancy to the Dunmurry Road area. Work will take two years to complete.